In its latest annual Global Market Research Report (2017), Esomar reported that about ~60% of all research in the Emerging & Developing markets is being done using Face-To-Face surveys. While in past most of these interviews were performed using traditional pen & paper, this is quickly changing and most Market Research agencies are turning to mobile data collection technologies to replace the outdated pen & paper approach. Direct cost savings: There are now no obvious paper-cost to factor in for printing questionnaires or re-printing questionnaires when errors are discovered. There are also no data-keying in costs as the data is digital and travels from the tablet in the field to the main office automatically. Direct cost savings of CAPI platforms such as SurveyToGo are typically ~50% (!). Faster project turn-around times: Interviews are automatically synched from the tablets/phones to the main office as soon as there is a network connection available meaning less time spent moving paper questionnaires from one area of the country to a different area. This becomes even more important when modifications are needed in the questionnaire. As there is no data keying in phase, this cuts down on turn-around times as well. Typically, face to face research projects utilizing mobile data collection software platforms such as Dooblo’s SurveyToGo see a reduction of about a 3-5 days in the total project turn around time. “10x” increase in Quality Control: When using tablets or smartphones for mobile data collection coupled with a powerful tablet survey software platform like SurveyToGo, it is immediately possible to step up the Quality Control to levels never possible with pen & paper. 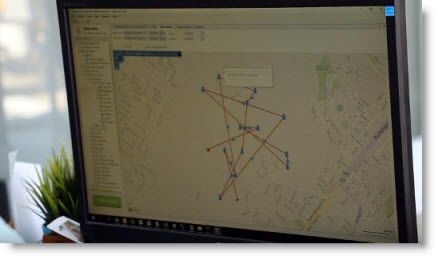 Automatic GPS capturing helps you track the exact GPS locations of interviews and routes interviewer took while surveying. “Silent recordings” enables quality control departments to “listen-in” on important parts of interviews as interviews are recorded. “Predictive Quality Control” automatically flags suspicious interviews in need of more in-depth review and an advanced Quality Control console integrates all of these quality control aspects together to give the quality control agent a “360 degree” view of an interview with ability to approve or reject the interview faster and with more confidence resulting in a huge boost in overall project data quality. For typical projects that used pen & paper in the past it is common to see a 10x boost in data quality resulting in less re-fields, higher-quality insights and superior end-customer satisfaction from the research project performed by the agency. So while switching from pen & paper to mobile data collection is a great start and will guarantee a boost in productivity, it is critical to choose the correct CAPI platform to ensure that these new technologies are used to their full potential. 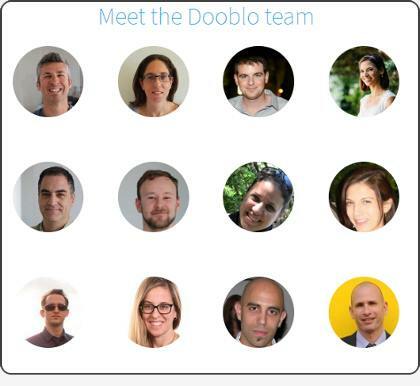 Dooblo’s SurveyToGo has been regarded for years as the “Gold Standard” in Tablet/smartphone CAPI platforms. It is the only platform out there processing over 20 Million interviews per year in over 90 countries, by over 700 different Market Research companies ranging from Global MR leaders such as Nielsen, Ipsos, GfK , Gallup etc, all the way to the smallest Market Research companies in Africa, Latin America, Asia & East Europe. Dooblo’s SurveyToGo includes a cutting-edge sophisticated survey engine capable of running the most demanding CAPI surveys, coupled with a unique one-of-its kind Quality Control system which is tightly integrated from the ground up into all the components of the platform and provides a complete, secure & scalable platform that lets you concentrate on providing insights to your customers.